Bigger picture – we have a sharp decline in Money Flows (MFI above) out of the 45-day cycle bottom. Price and MFI would have to blast higher to break the growing negative divergence. Prices haven’t gone anywhere since the December 19th Fed spike. The MACD (below) is softening and would require a sharp boost to exceed its early January peak. It looks like momentum is fading. 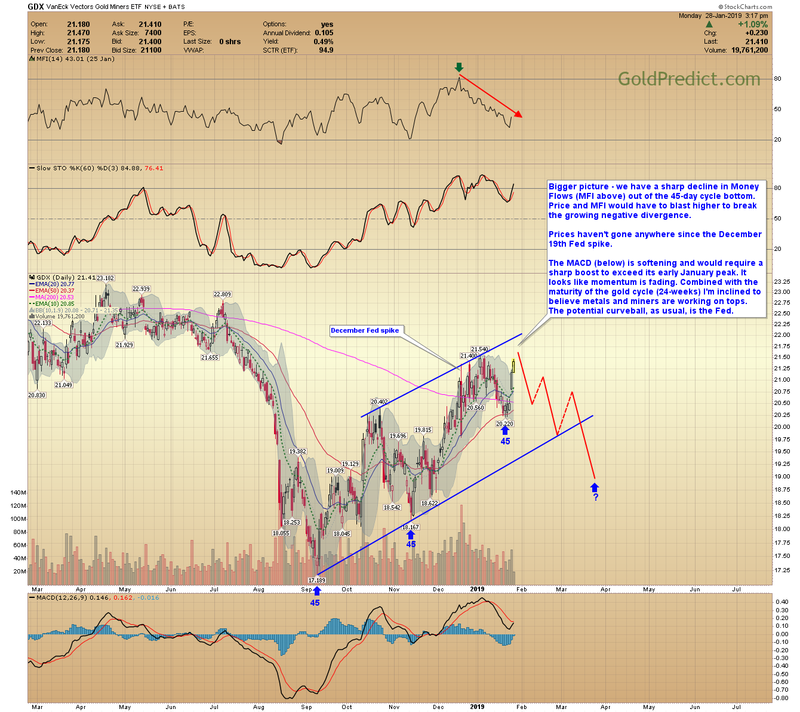 Combined with the maturity of the gold cycle (24-weeks) I’m inclined to believe metals and miners are working on tops. The potential curveball, as usual, is the Fed.